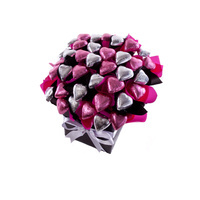 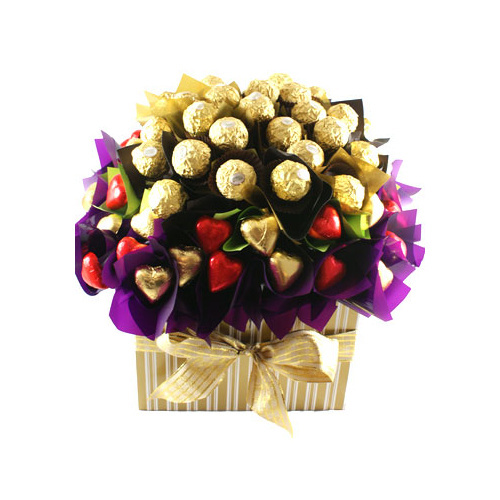 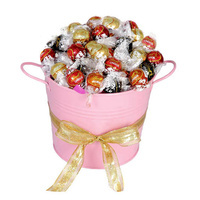 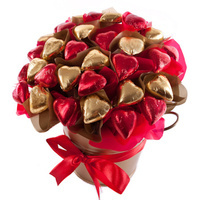 A stunning edible chocolate gift box filled with ferrero rocher & gorgeous chocolate treats. 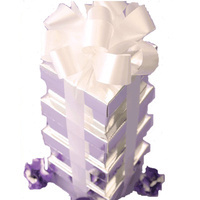 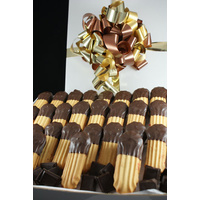 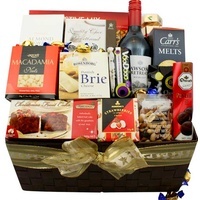 Presented in a Large Gold & White Striped Gift Box with ribbon & attached gift card. 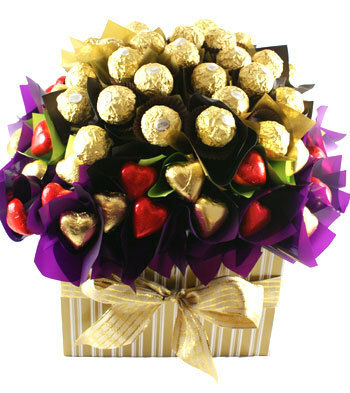 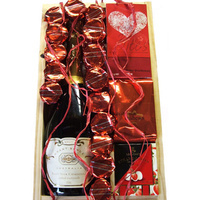 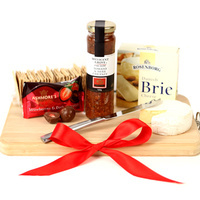 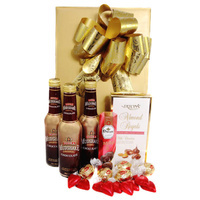 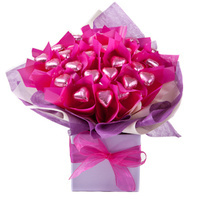 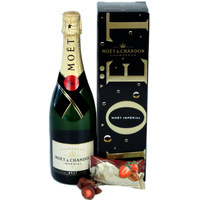 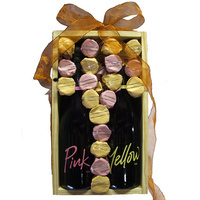 "These gorgeous chocolate gift boxes are the perfect gift solution for Mum this Mothers Day".